While I’m sure some people find the idea of their spouse sharing their hobbies, I’m not one of those individuals. 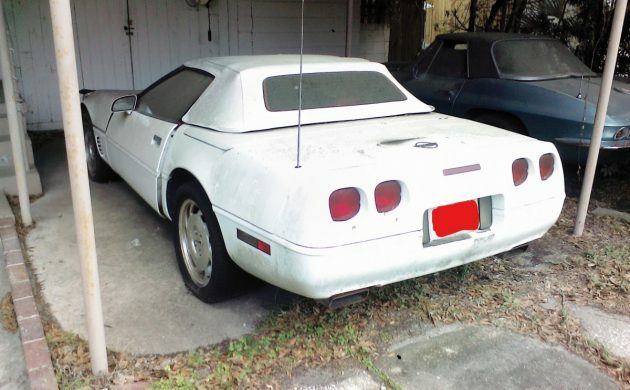 I like a little space when it comes to the personal side of things, and one of the reasons is so we don’t end up going to the same car dealership to buy the same cars in the same colors – like this pair of his and her Corvette here on craigslist with an asking price of $37,500 for both cars. Listen, there’s nothing wrong with this, but it’s just not my cup of tea. 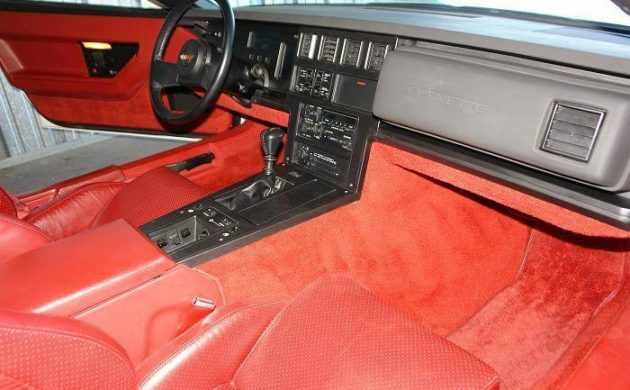 At least get different colors, which was likely the only real way to set two Corvettes apart from each other in 1984. The only other real differences are transmissions (one is a four-speed manual, the other an automatic) and the mileage count on the odometer (2,000 and 4,000, respectively). Other than that, they even have the same color combo of white over red. I do like this color combination, though, so kudos to the original owners for at least choosing an attractive pairing. The four-speed car is the one to get, as it also comes with the Z51 suspension package. Clearly, whichever member of the husband-wife Corvette duo was the more aggressive driver owned the stick-shift car. Of course, the best part about all this is that they were purchased new in Las Vegas. Can’t you just see the happy newlyweds, fresh from their 15-minute nuptials, buying his and her Corvettes off the casino floor that a Chevrolet dealer dropped off as a marketing exhibit? 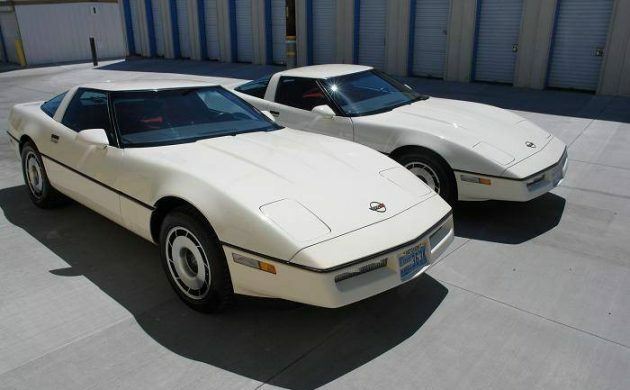 I can, but all that speculation aside – is $37,500 a fair price for two essentially brand new 1984 Corvettes? 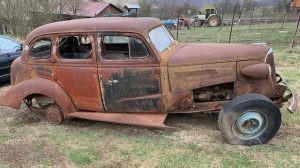 Thanks to Barn Finds reader Ikey H. for the find. My buddy Lance knows the story and told me that Hubby won big at the craps table and wife immediately took the cash and bought both cars. Supposedly hubby was going to use the money to get his mother a safe place to live and some food to eat but wife didn’t like the idea. It was wife that drove the 4-speed and mostly the auto too. She rarely let hubby out of her sight so it seems he only actually drove the auto 3-4 times total. When wifey went to play bridge with her friends she’d take the keys to the automatic with her so that hubby couldn’t drive it. He’d have to take a 2 hour one way bus ride to visit his mother every week. Hubby died under suspicious circumstances shortly after. Wife got a new boytoy but wouldn’t let him drive the cars either. Eventually boytoy found greener pastures and moved on. Wife left these two parked and now the Feds are trying to sell them on the QT. Really…. I never heard it called “Playing Bridge” before. Interesting. Wonder if Hubby got caught “Playing Bridge”? 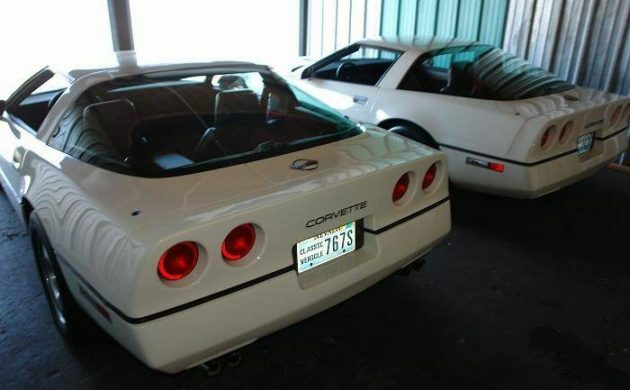 I guess the high asking price is predicated on the fact that you could have two (almost) identical low-mileage Corvettes. Doesn’t work for me but I’d like to have the one with the 4 speed and I would drive it, I don’t think it’s worth mothballing. Not sure what a reasonable price would be, $12-$14K? Unfortunately not for a C4, especially an ’84. I’d say 8 grand for the four speed and maybe six grand for the automatic realistically. They have their fans but these just did not age very well, and simply don’t have much collector value. So from an investment perspective, they probably would have been better off simply continuing to play craps. They are still frowned upon. I don’t know the reasons. I think it has a lot to do with the fact that the style looks very very 1980s, and very cheesy actually. I mean, would you feel cool driving it? Most would say no. They’re just too associated with that era, which doesn’t generally open wallets like the 1960s do. I remember picking up 84′ vettes at auction for 4-6k in decent condition years back as these were frowned upon. Starter vettes for those with smaller bilfolds.. There was an ’84 for sale near me about 3 years ago. Started at 5K, then 4500, then 3, etc. 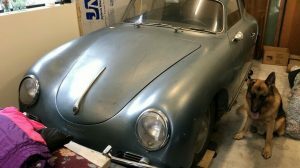 I was told that it finally sold for 2200. It was driver condition, a good used car. I don’t get it. Corvettes aren’t my thing, but they’re still THE American sportscar with the engineering, performance etc. that goes with that designation. 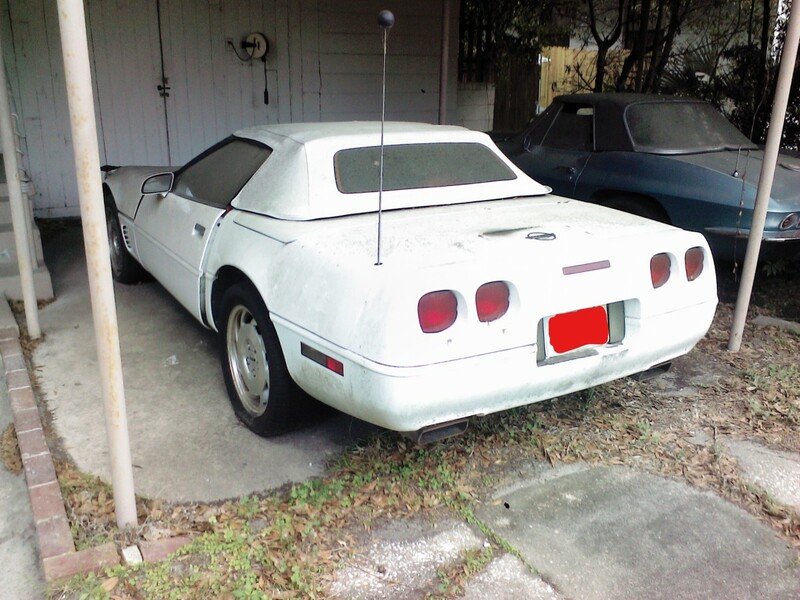 `84, At least to me, notes THE lowest point in Corvette history. The crossfire fuel injection was junk, and resale on these tanked as well. 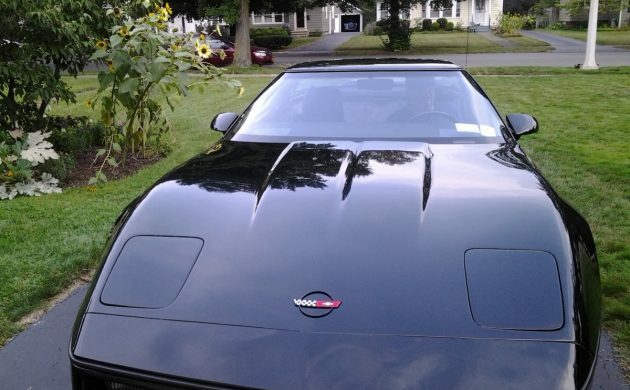 Some say Vette’s low-point were the `76-`82 models, but they were still better than the `84’s. I’d have to give the lowest to the ’82. No option for a manual transmission. People have a lot of wrong and crappy opinions about C4’s and the 1984’s above all others. I’d want the manual and you can do whatever you like with the automatic one. Good color combo, looks like they were well kept, I’d rip it out of the “blister pack” and start playing with that manual one right away……. way overpriced IMO, Crossfire probably comes in after TPI and then a carb. Just doesn’t do it for me, rather have my 86. It blows my mind to hear stories of how crappy and slow these are. I was a little kid when these were new and the design absolutely rocked me. 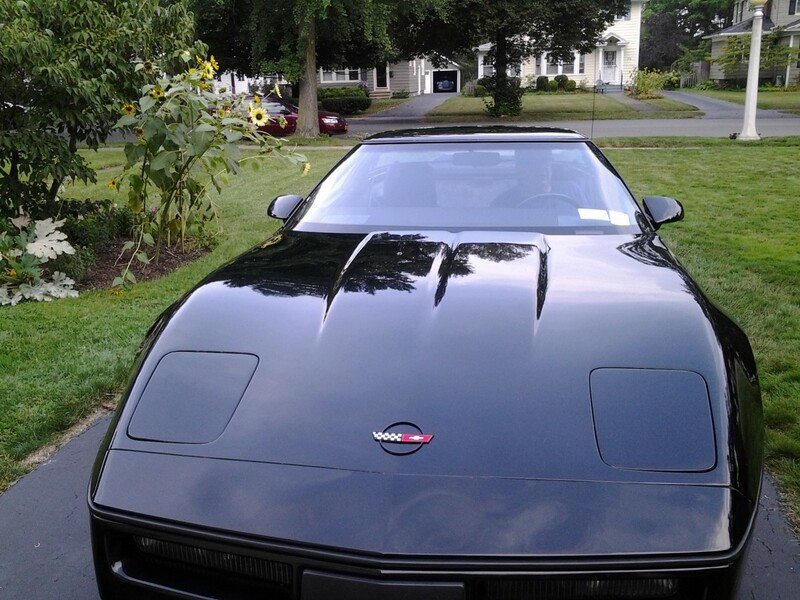 My uncle had a beautiful 81 black with red interior, and the new for 84 Vette made it look like a dinosaur. I wanted one then and I want one now! Once you filter out the BS and embellishments, the truth is somewhere in the middle. These were mid 6’s 0-60 cars in 1984 and they topped out around 135-140….. I know today Grandmas Lil Rascal could probably smoke it, but in 1984, before electricity and indoor plumbing…..that was pretty solid performance. If you want another one that’s going to mess you up…. If the manual is the Dough Nash 4+3 they had a lot of trouble with them and those in the know stayed away from them. 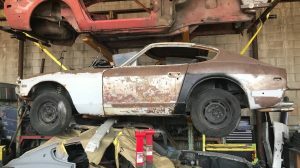 Corvette DNA app shows these worth $11.500 each in show condition. No extra premium for the manual Z51? That whole his n’ hers thing is the epitome of the dorky rich. They probably wore matching outfits, too. Maybe worth 37.5 large if they were #1 and #2 off the line. I bought a ’84 when I got out of the military and man was that a rough ride. Loved the look though. Later bought a ’93 and was blown away at the difference in the comfort of the suspension. Way more comfortable. These are nice and all the best to the sellers. 4 Speed worth $12K tops. Automatic is worthless to me. But someone will like it. I own an 84, 4+3 Doug Nash, Z-51 Black over Graphite leather. I am going to enjoy reading all of the expert commentary, especially from those who have never sat in one, let alone driven one. Frank, Beautiful Car and property; it shows your depth. Those people who think they know everything are really a great annoyance to those of us who do. Looks like a beauty Frank. That’s the 84 I’d want. Although the silver/graphite is what sticks in my mind. That’s the first one I remember seeing when they debuted. How long have you had her? @Frank Sumatra, I think the C4’s day is coming. Plenty of people like myself think the later C3’s and C4’s are the best looking Corvettes made. These are the Vettes from our youth and we haven’t yet had the money or garage space to collect them yet. They have more than enough power for today’s roads/traffic. I’ve driven a few C5’s that I thought were great cars, but when my time comes I’ll be looking for a C4. The paint looks great on yours. Enjoy! 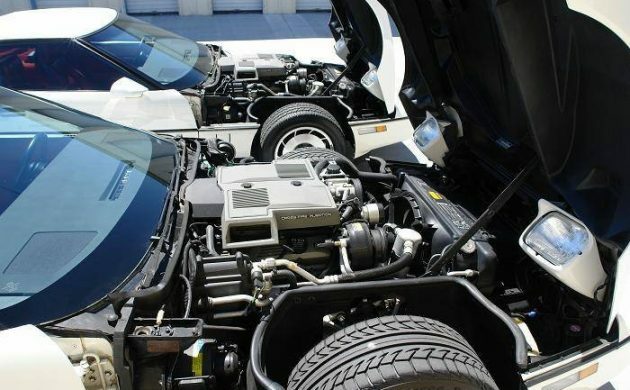 Here’s a pair of low miles vettes that I found that I would pay $37,500.00. Is that the Crossfire set up I see? If it is, STAY AWAY. Tom, I had a ’84 and never had a problem with the Cross Fire.A friend had a Camaro with it and it was trouble from day 1. 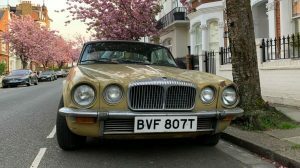 Tom- What year was your Crossfire and what types of problems did you have with it?